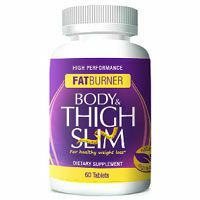 Body & Thigh Slim is a weight loss product that claims to be able to help to burn away the deposits of fat that are specifically found around the stomach, abdomen, and thighs through a simple combination of natural ingredients. If this product could live up to its claims, it would make it an extremely appealing option. However, in order to decide whether or not that is possible, it is important to look at the ingredients that make up these pills. The claim is that the product helps to be able to burn off unwanted body fat, even without having to exercise and while at rest. Considering the extremely high price tag associated with this product, it would need to be an exceptional performer in order to make itself worthwhile. The ingredients that make up the formula, according to the official website for Body & Thigh Slim include green tea leaf extract, green coffee extract, chromium, and raspberry ketones. This appears to be a newly updated version of the formula, as older reviews of the product list resveratrol and calcium instead of green coffee extract and raspberry ketones. 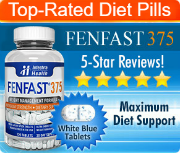 Each of those substances is exceptionally common in weight loss products that are available online and in stores. 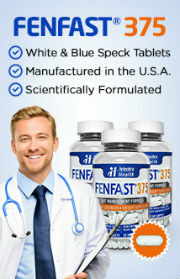 They are essentially hyped fad ingredients as opposed to being highly effective and clinically proven. Among them, the most likely to make any difference to the dieter is the green tea leaf extract and green coffee extract. The reason is that they contain caffeine and this stimulant is associated with a brief but potentially effective increase in the metabolic rate. The problem is that this reaction is considered to be most effective when combined with cardio exercise, and the marketing for this product suggests that it works without exercise. It is unlikely that the change in metabolism will make a measurable difference in the dieter’s weight loss. Instead, it only places him or her at risk of potential side effects associated with stimulant use. Though green tea has been shown in some clinical studies to help to promote weight loss further, the official website has not indicated how much is contained within each serving of the product. As a very high amount of green tea is necessary to produce the desired effect, it is unknown whether or not this product contains enough of it to generate any worthwhile result – particularly at the high price of $79.99 per bottle.